(2004 – Alexandra Weltz and Andreas Pichler. Few European Intellectuals have experienced as much admiration and hatred, as much praise and rejection as Antonio Negri. Few have had so much turmoil in their lives. 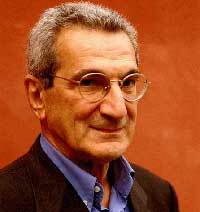 Antonio Negri is a university professor, philosopher, militant, refugee, enemy of the state and today one of the figureheads of the critical globalisation movement. The film portrays a life of a revolt, which never ends.